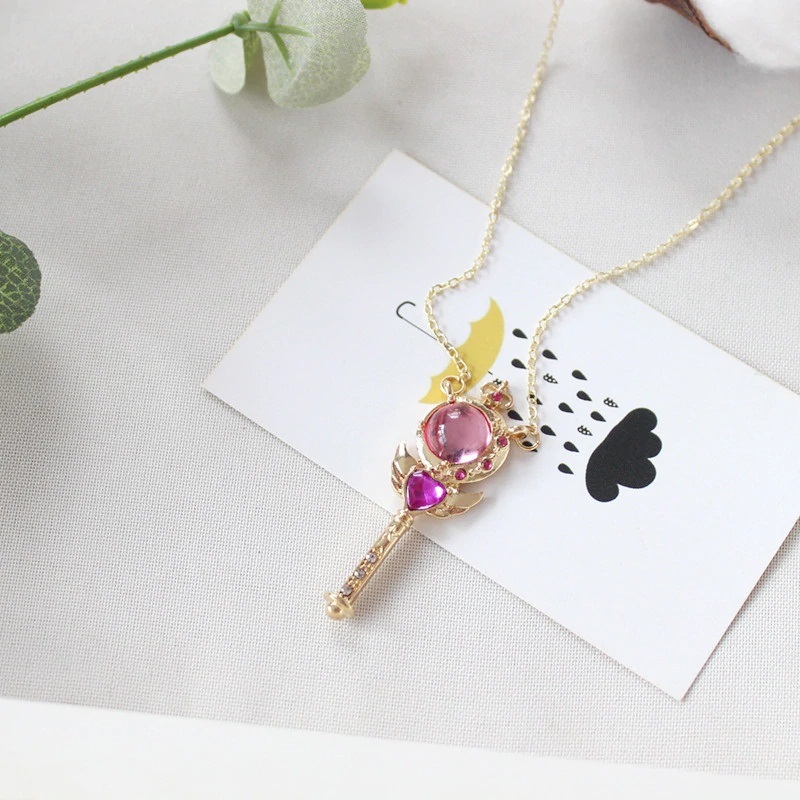 Beautiful Sailor Moon pendant that looks like Usagi's wand. It is made of alloy. 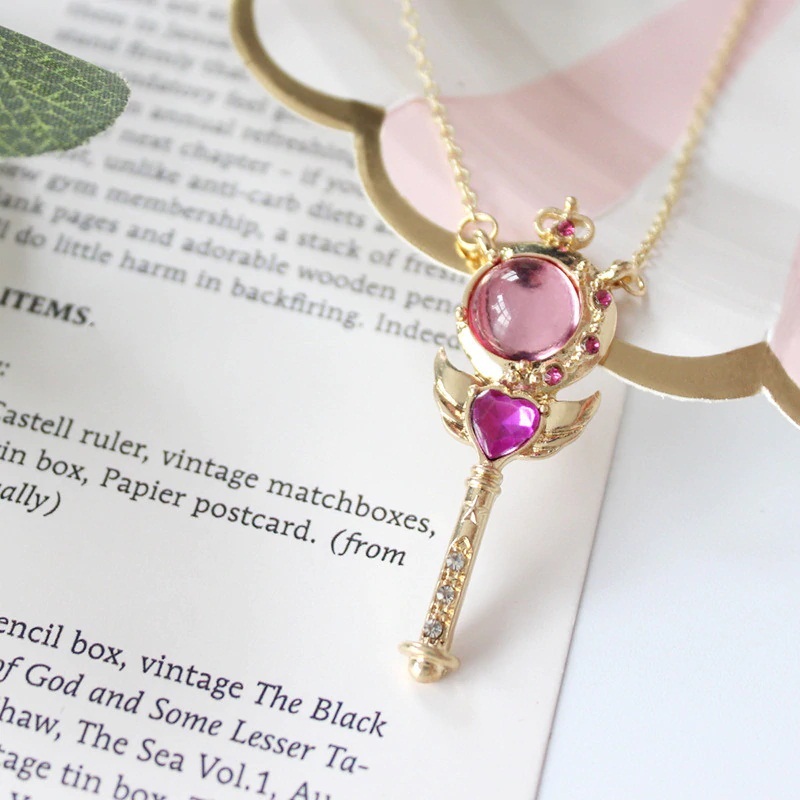 The size of this item is 4.8 cm (1.89 inch) x 1.6 cm (0.63 inch). 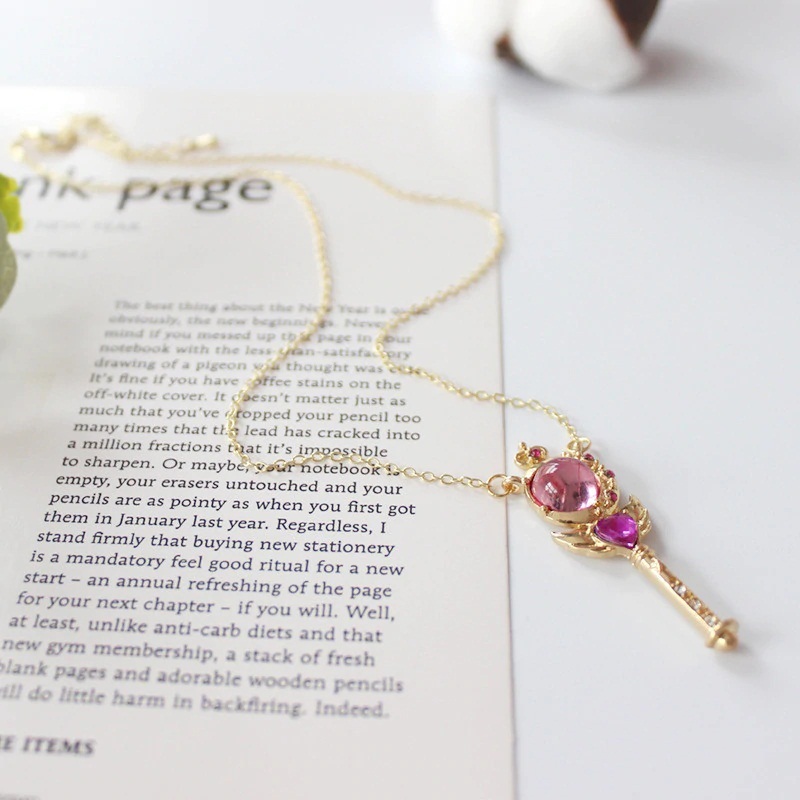 The length of chain is 41 + 6 cm (18 + 2.36 inch). The length can be adjusted.